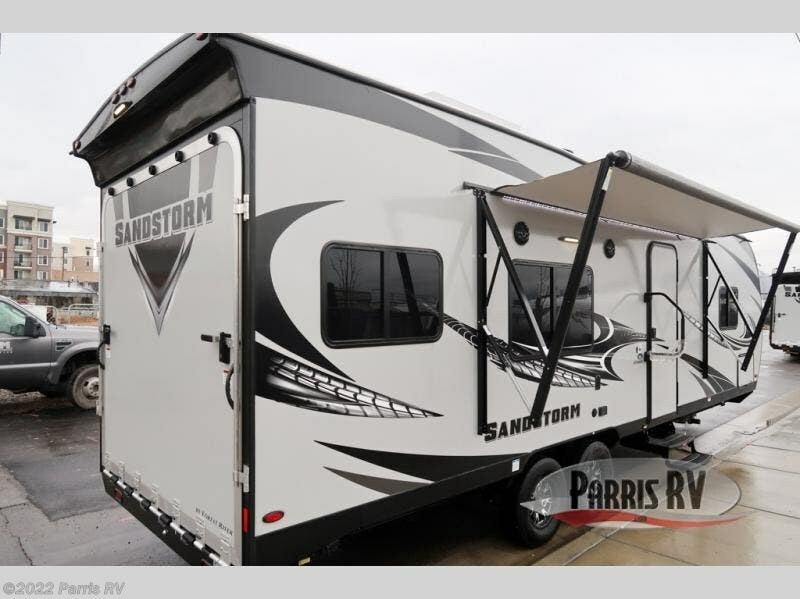 Head out for a little adventure with this Forest River Sandstorm toy hauler travel trailer. 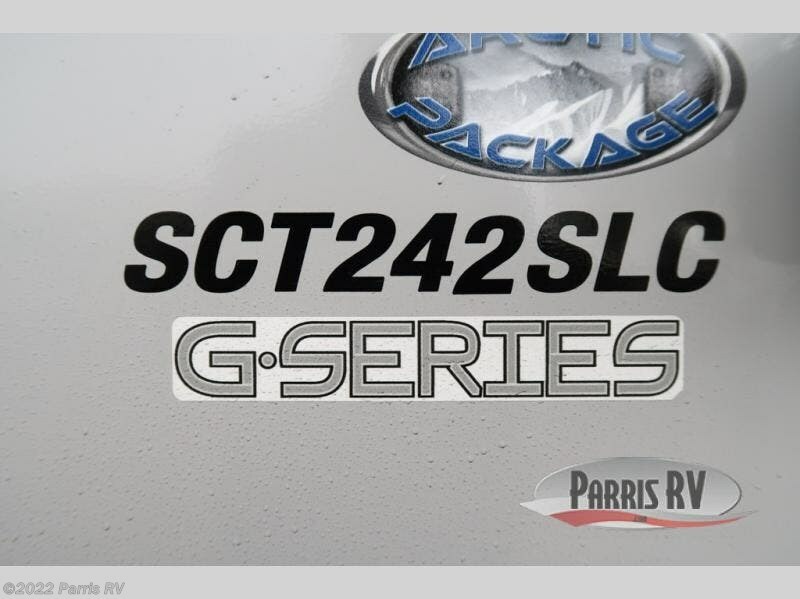 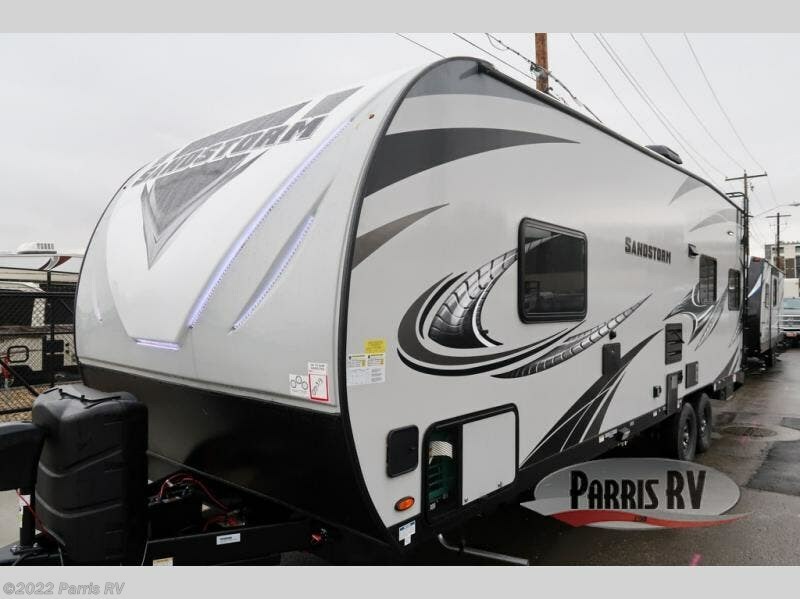 Model 242SLC offers you up to 13' 9" of cargo toy parking space for your favorite ride on toys. 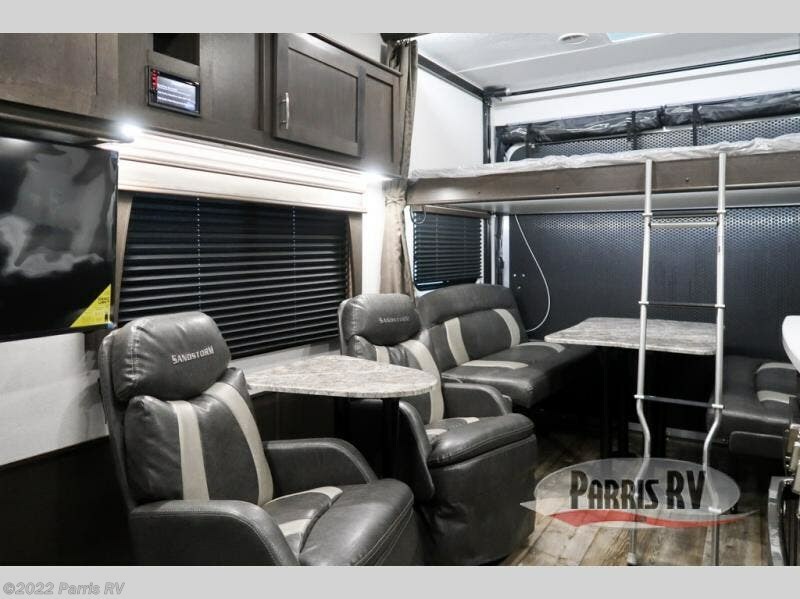 Plus, you can enjoy camping in complete comfort and style when you are not running the trails! 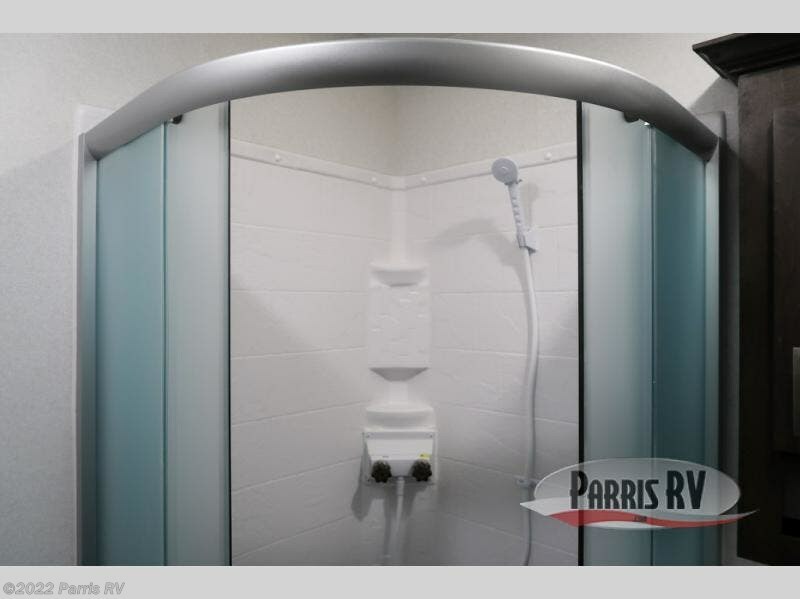 One of it's stylish features is the glass shower. 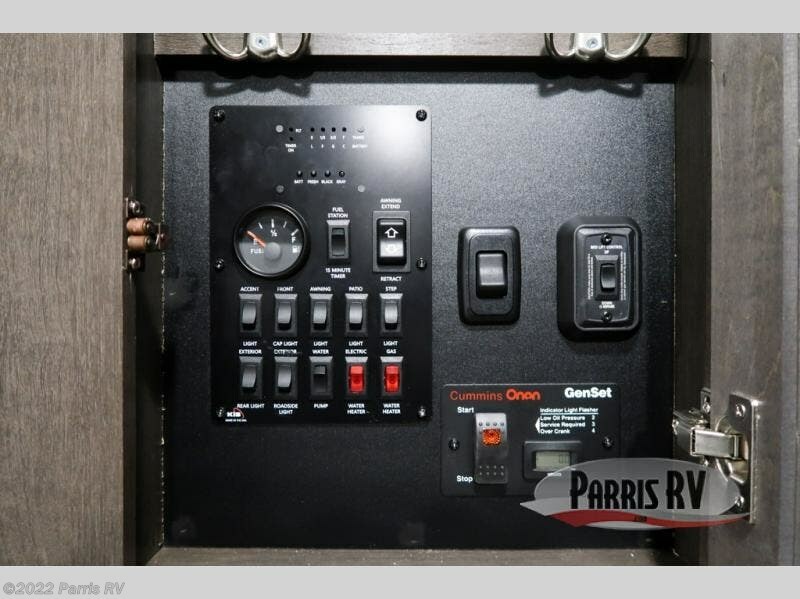 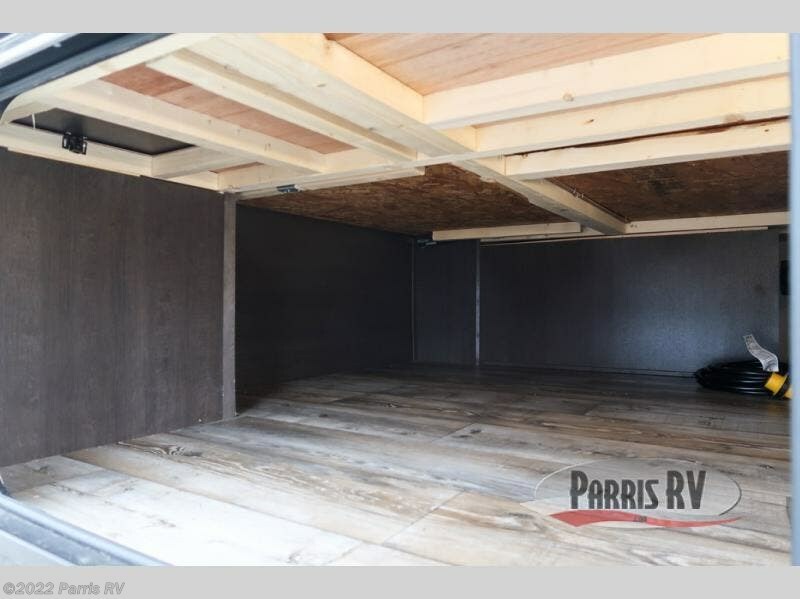 You can store all your camping essentials inside of the outdoor storage. 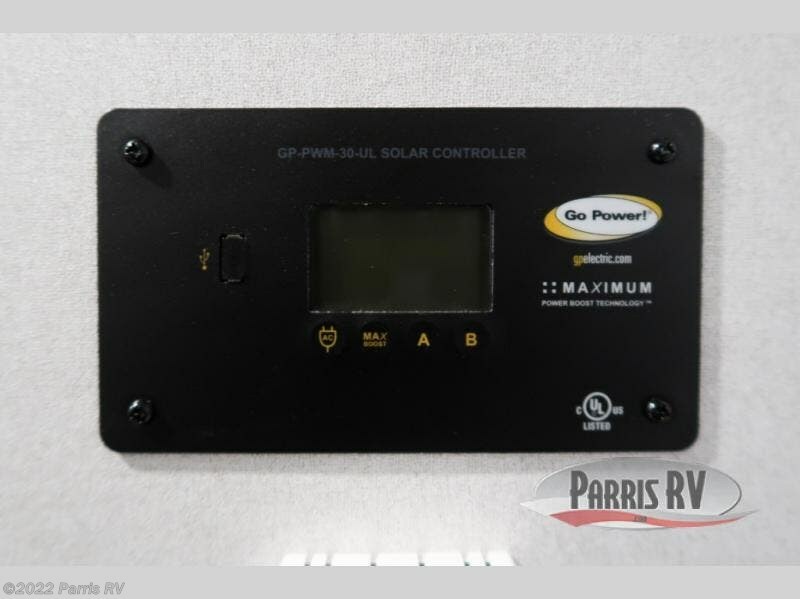 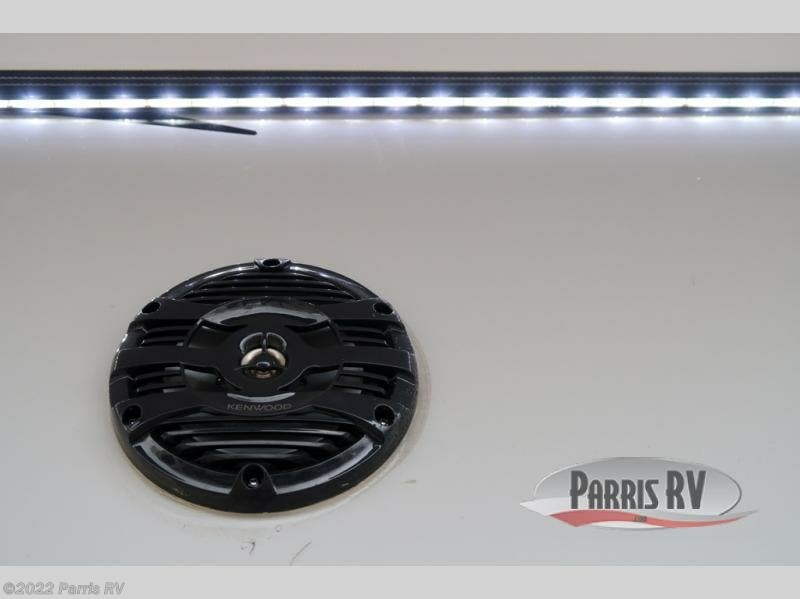 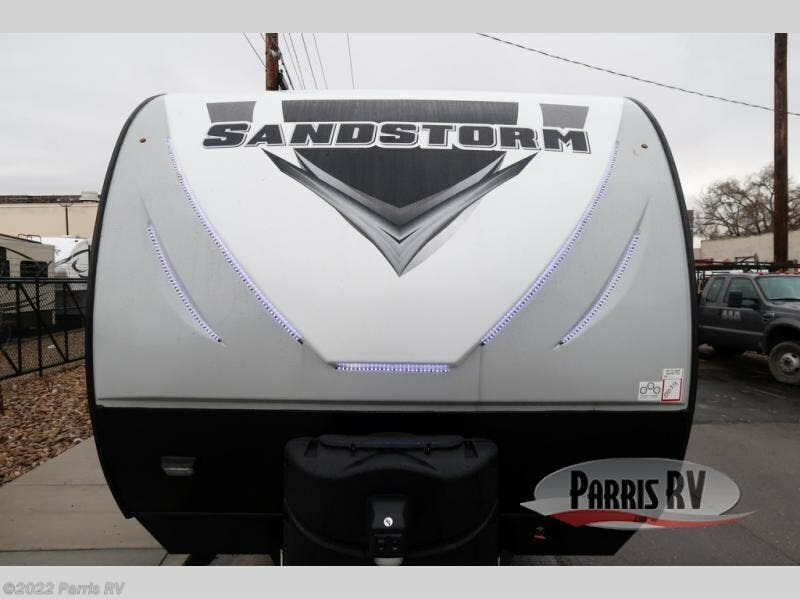 When you want to escape the sun, but stay outside you can head underneath the power awning with LED lights. 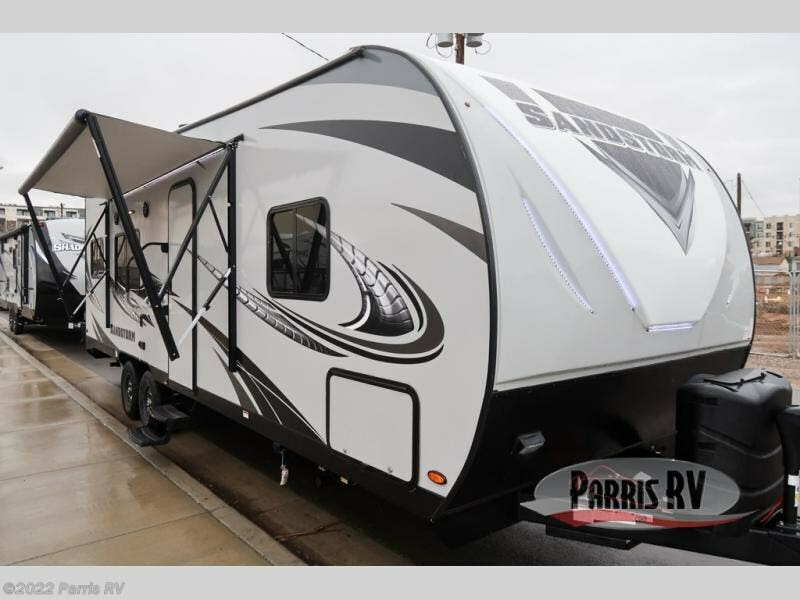 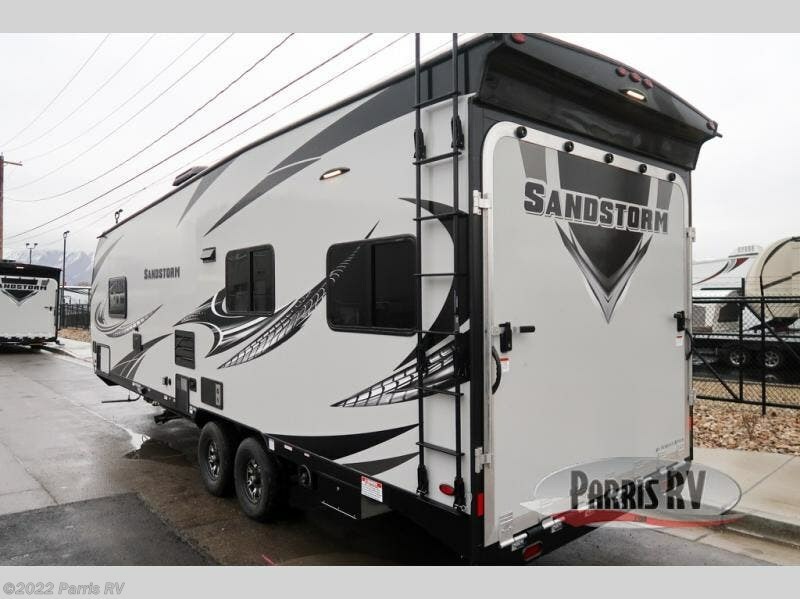 If you're looking for a lightweight and easy to tow travel trailer then one of these toy haulers by Forest River Sandstorm is for you! 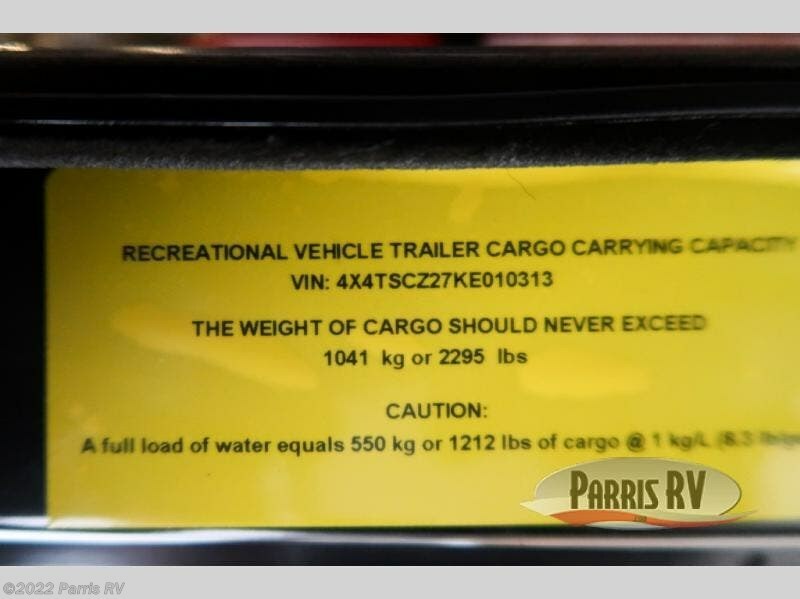 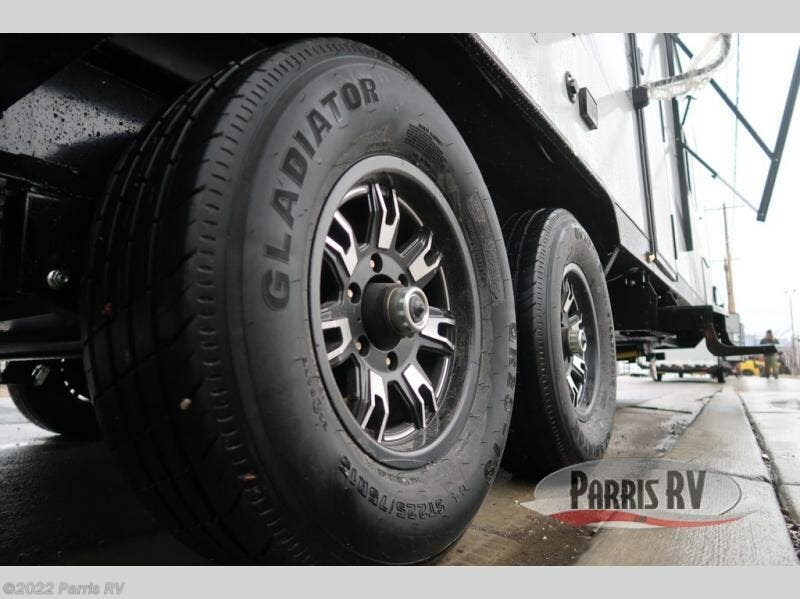 Each unit features a 102" wide body construction, a 3,000 lb. 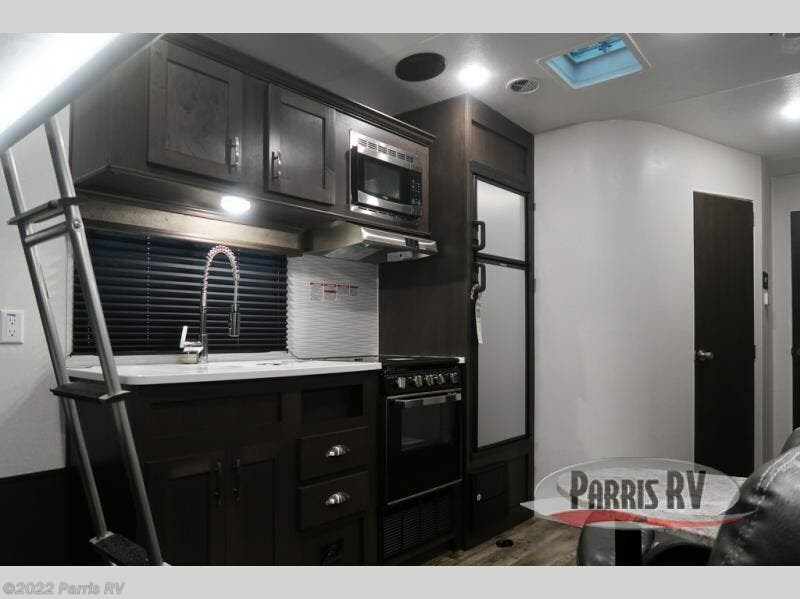 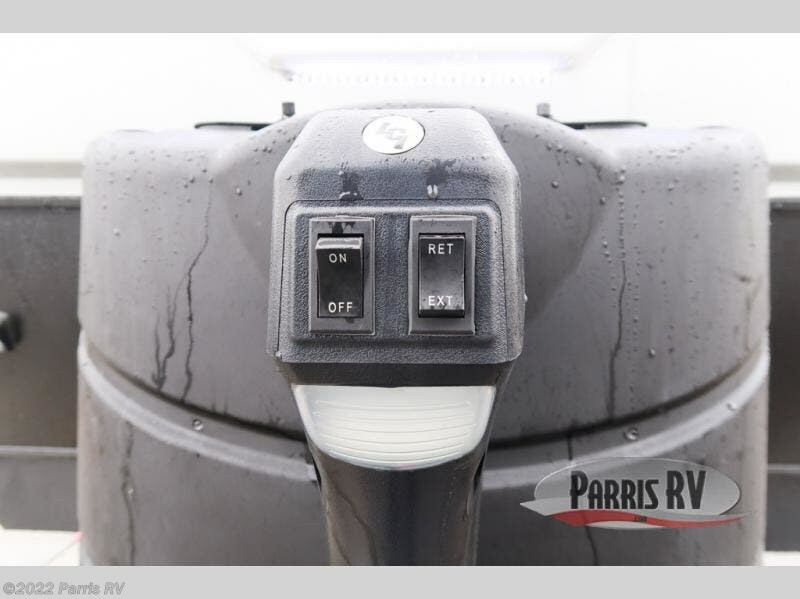 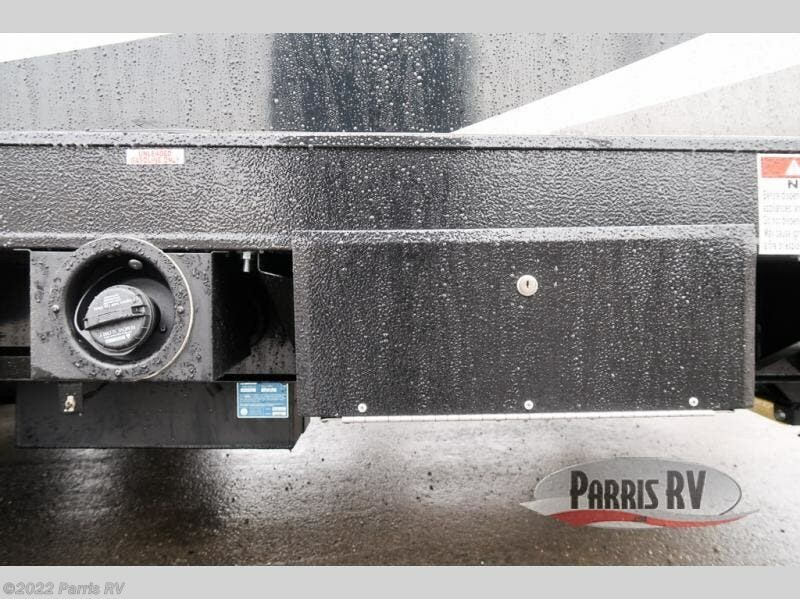 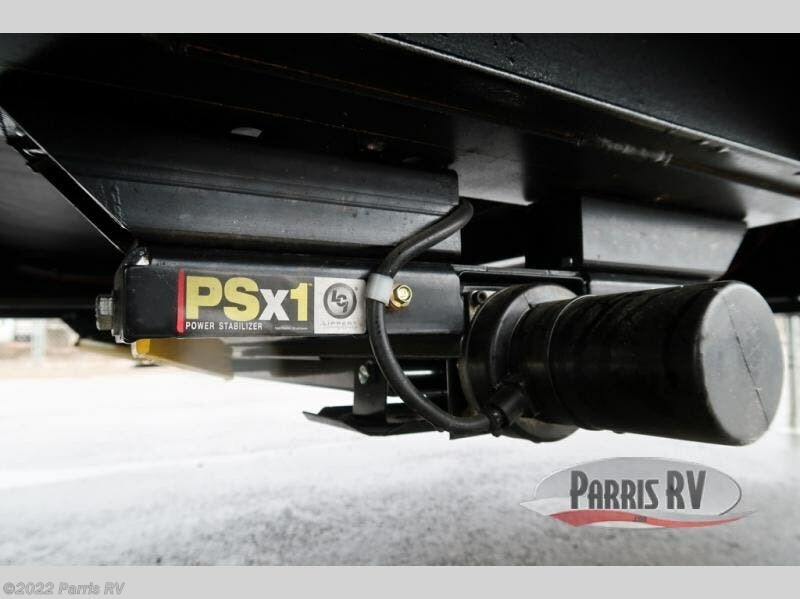 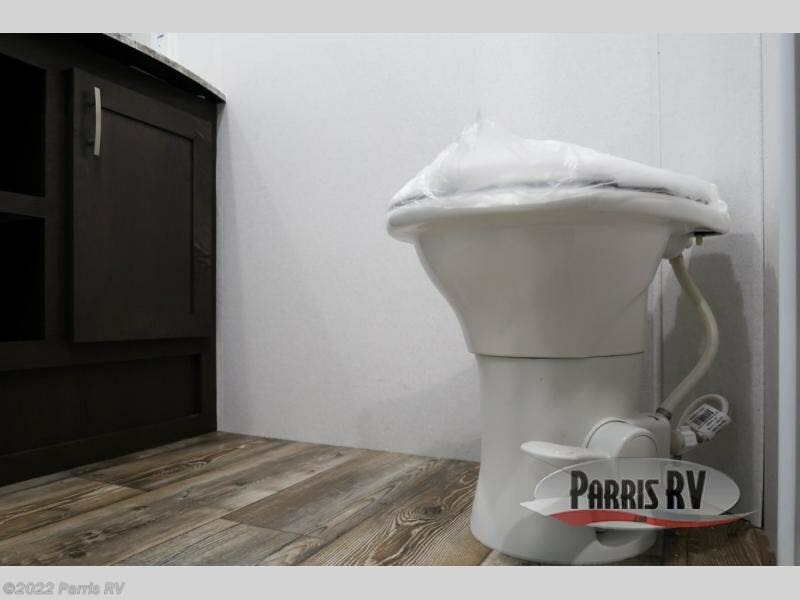 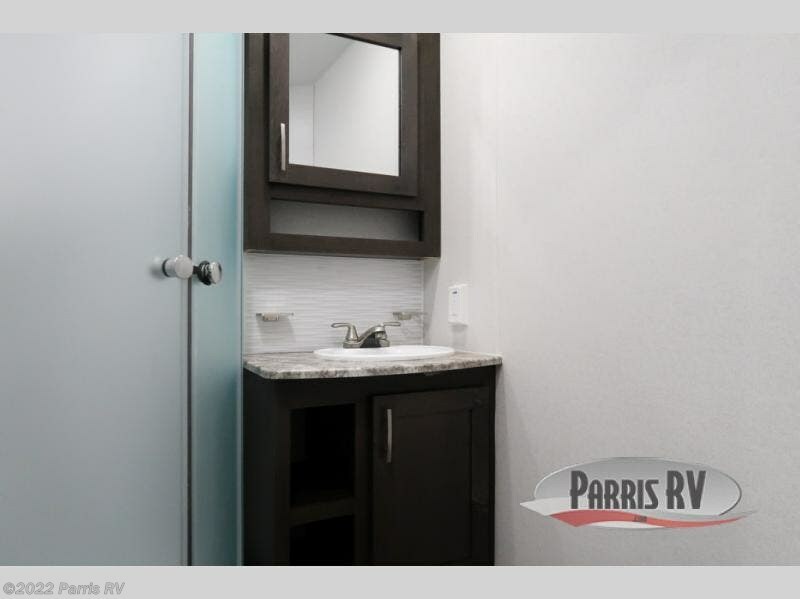 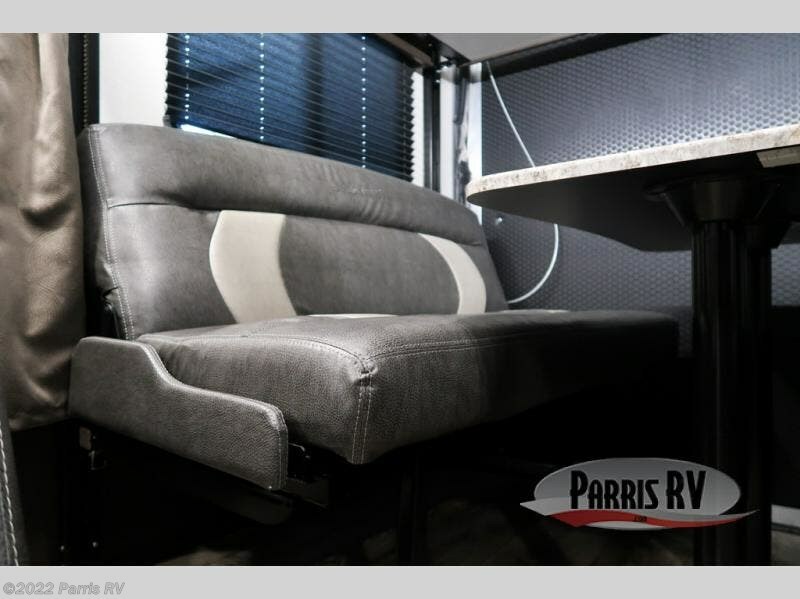 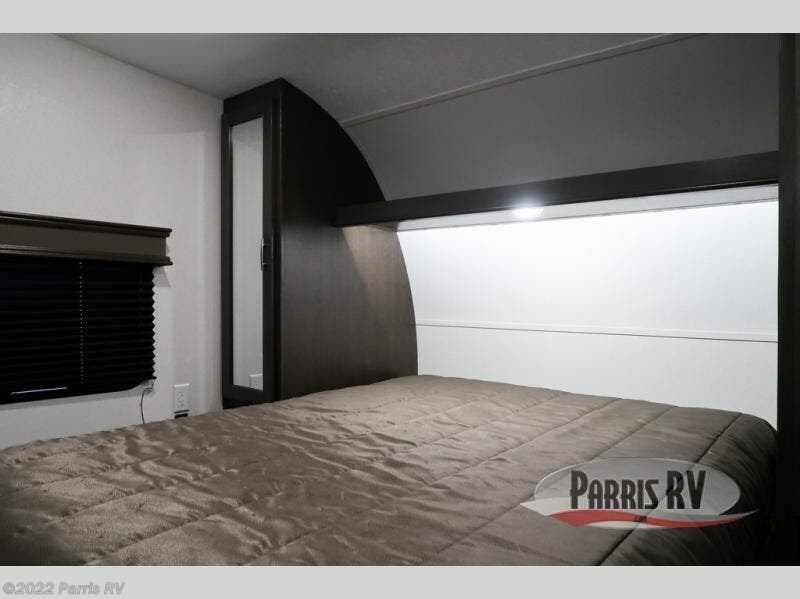 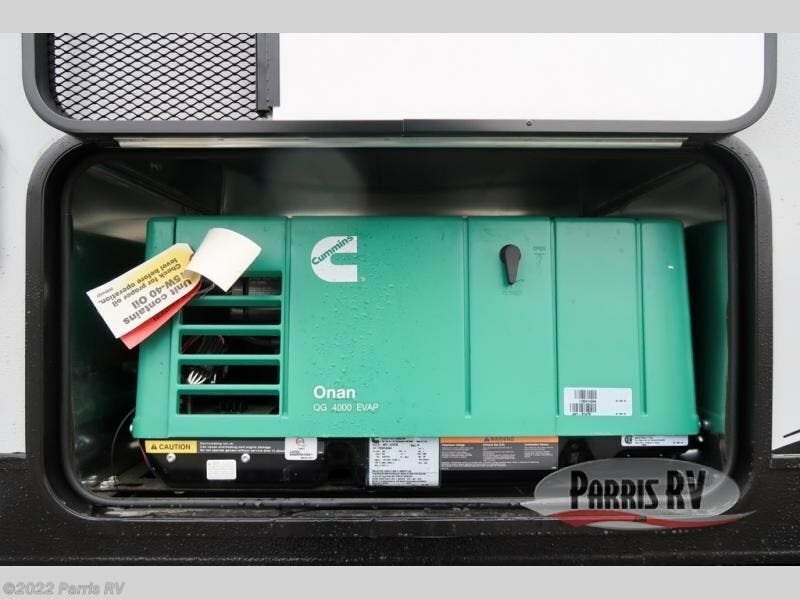 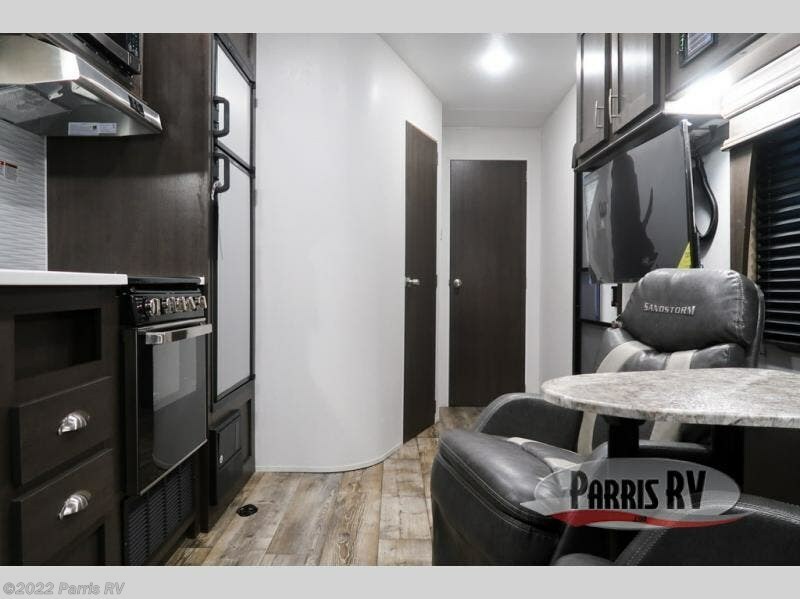 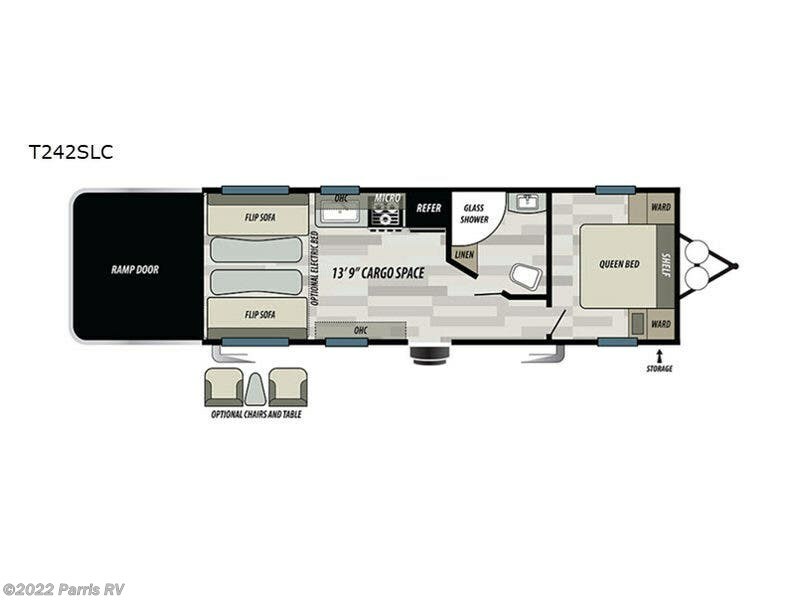 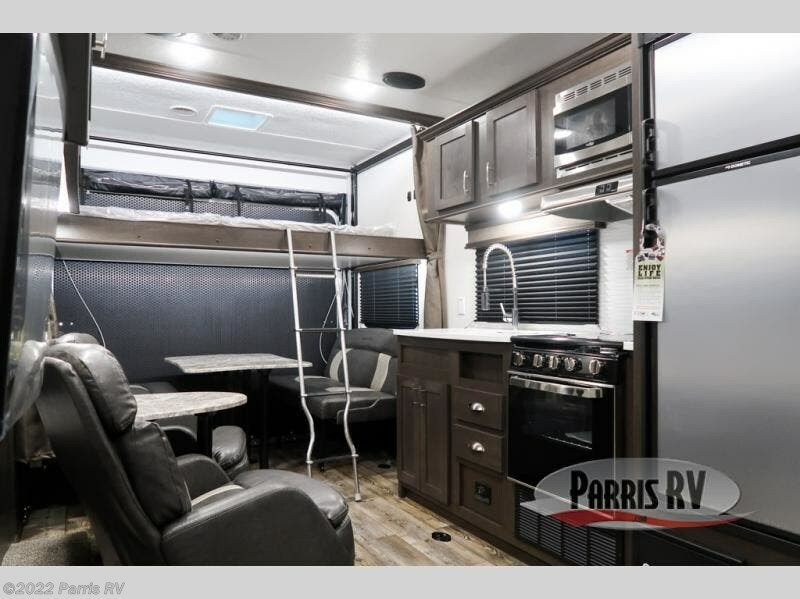 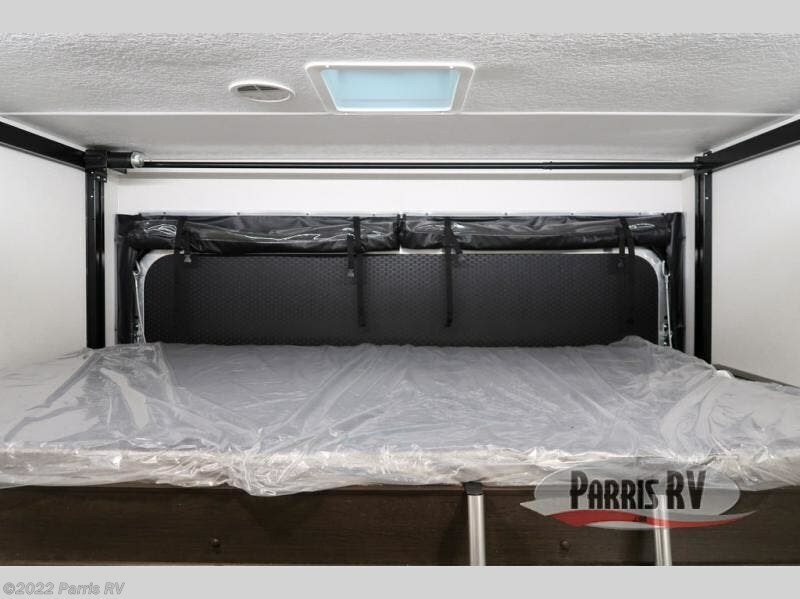 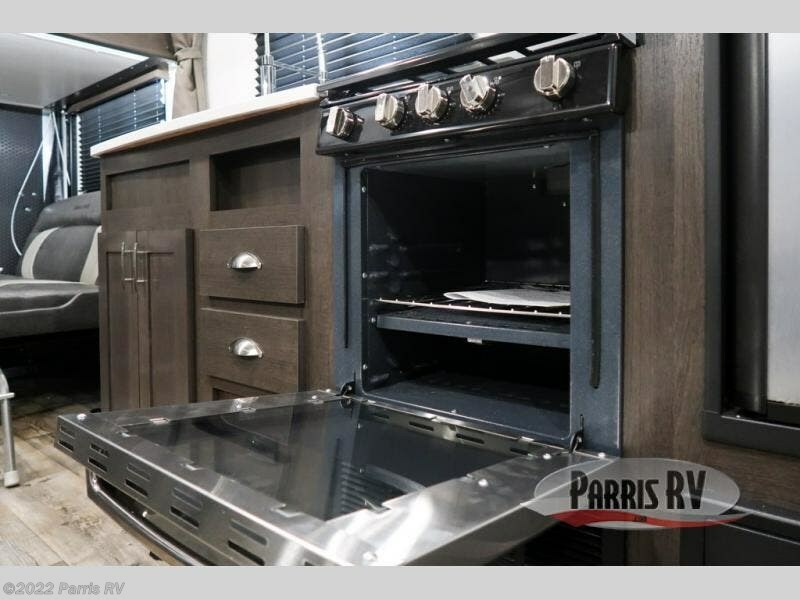 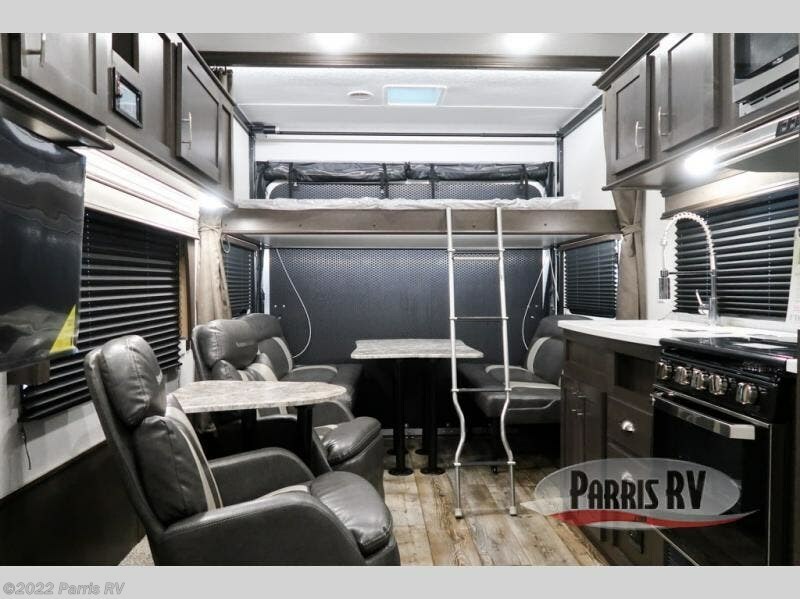 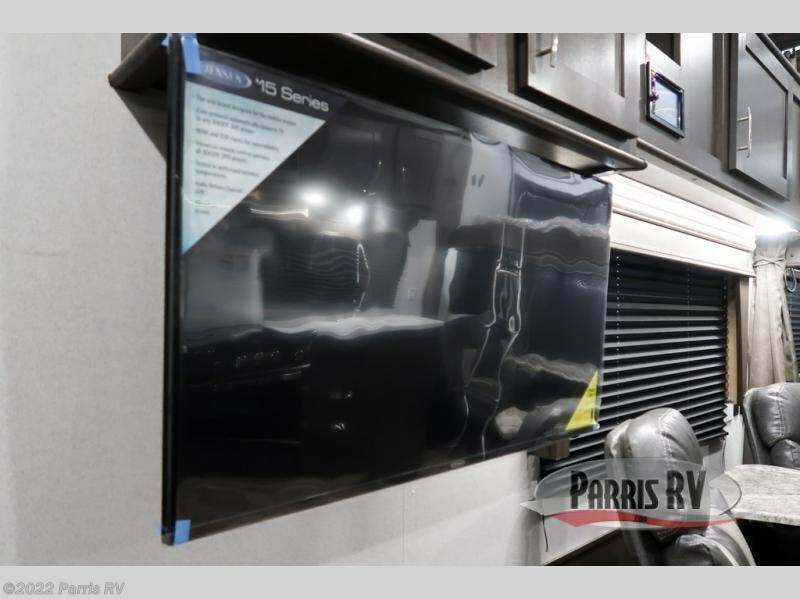 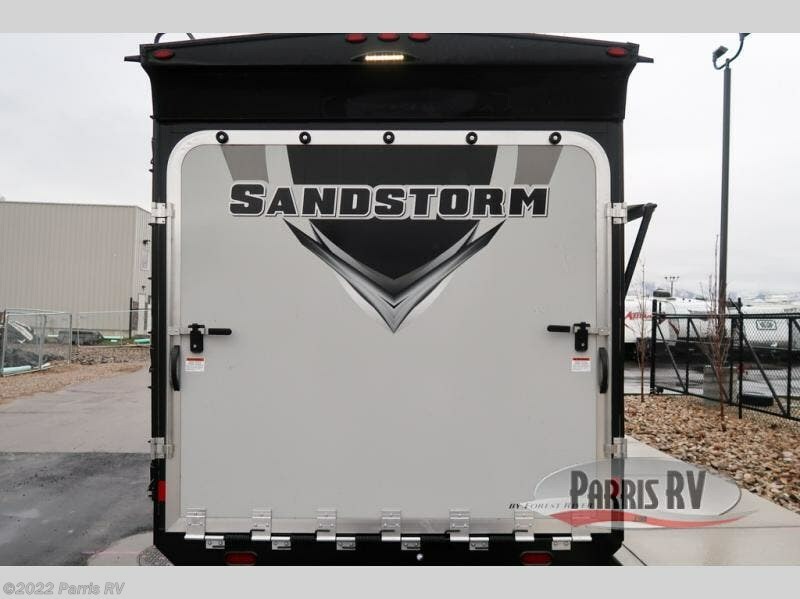 radius ramp door, and 2" fully insulated floors making these toy haulers flexible to your vacation destinations whether it's to the dunes or mountains it is ready. 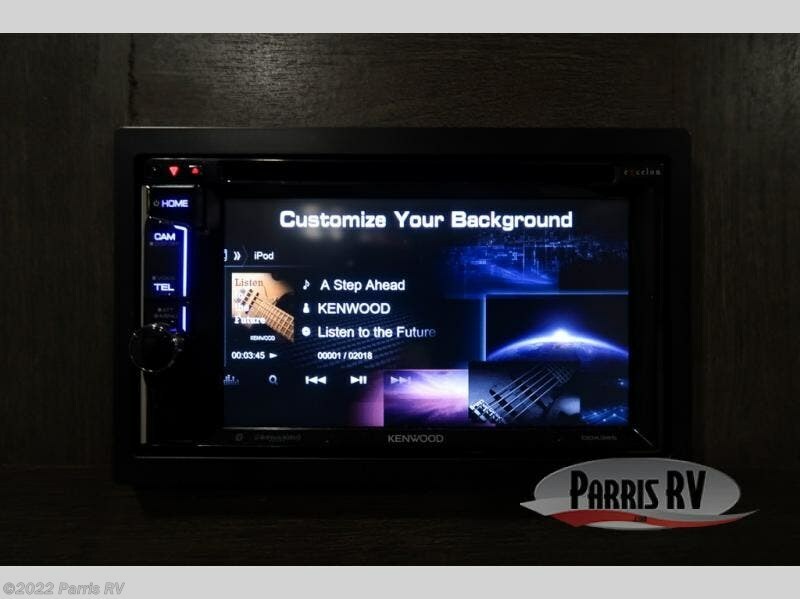 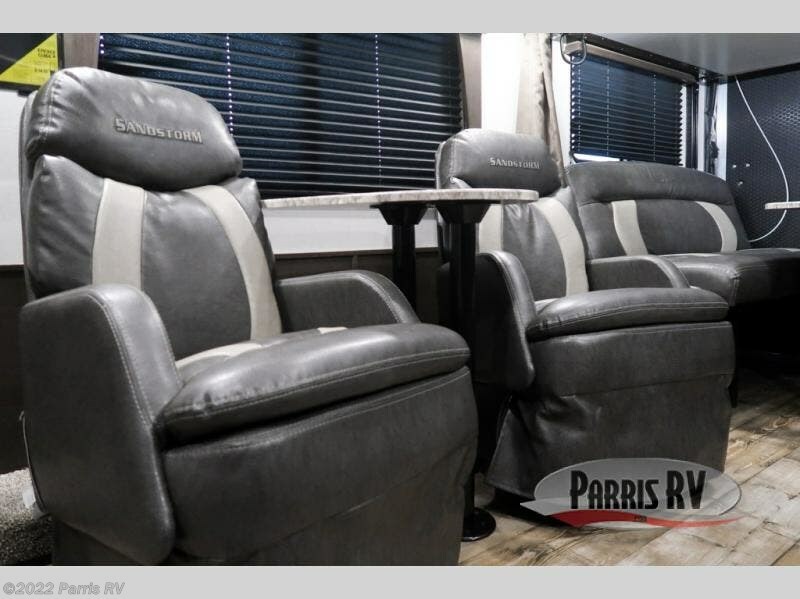 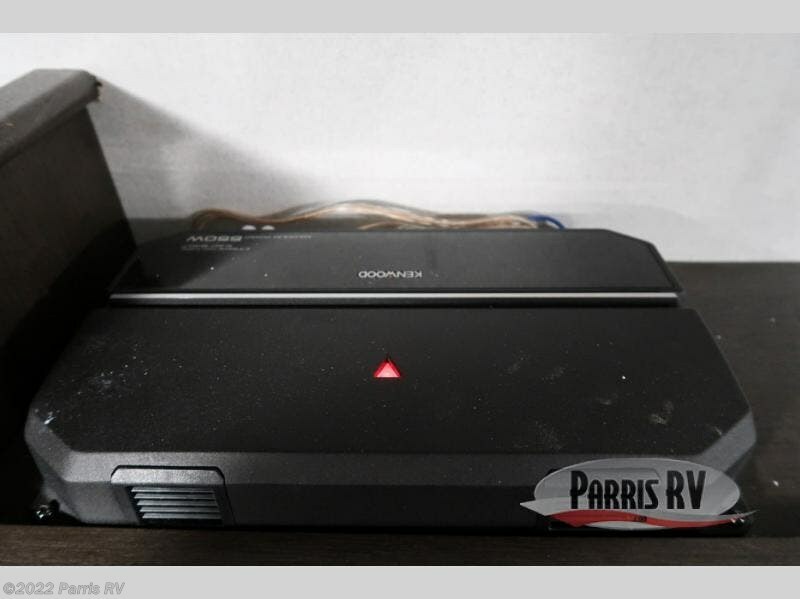 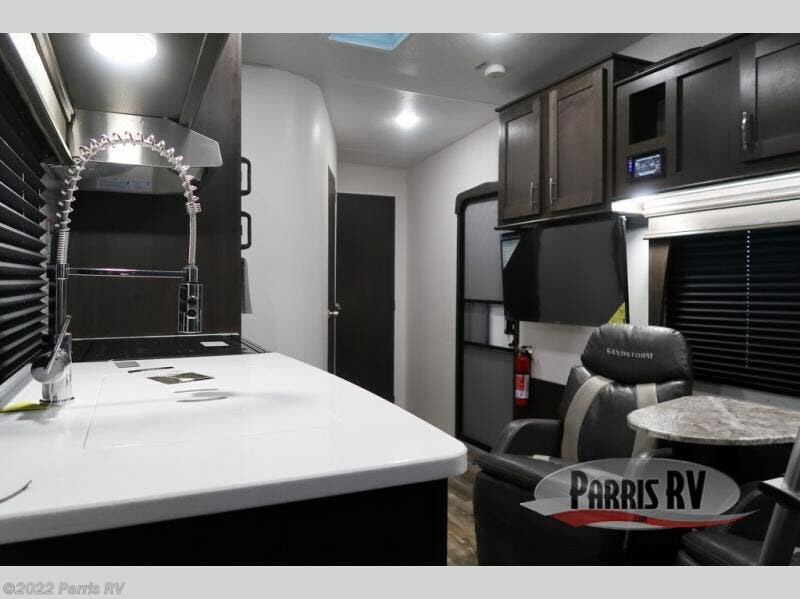 Some of the interior features that will impress you are the Bluetooth stereo with indoor and outdoor speakers, the Thermafoil countertops, a Denver pillow top mattress, and the 3 electric charging stations. 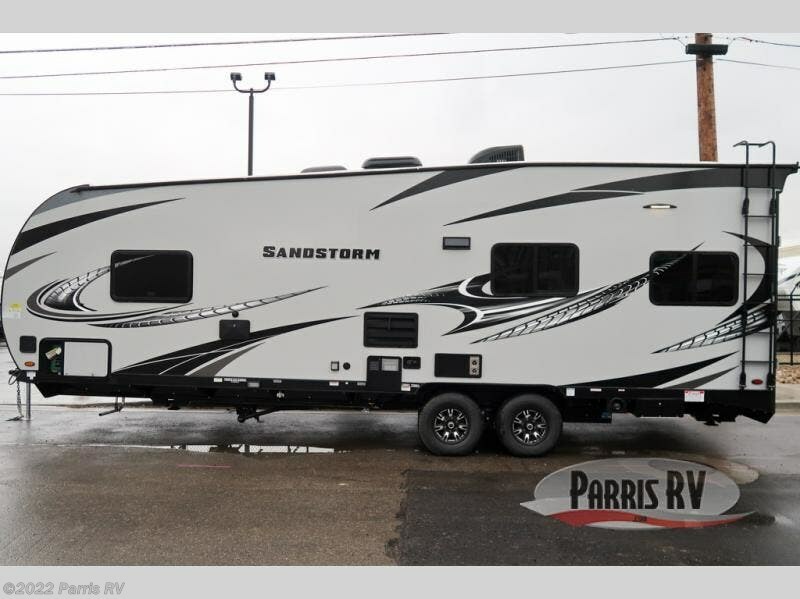 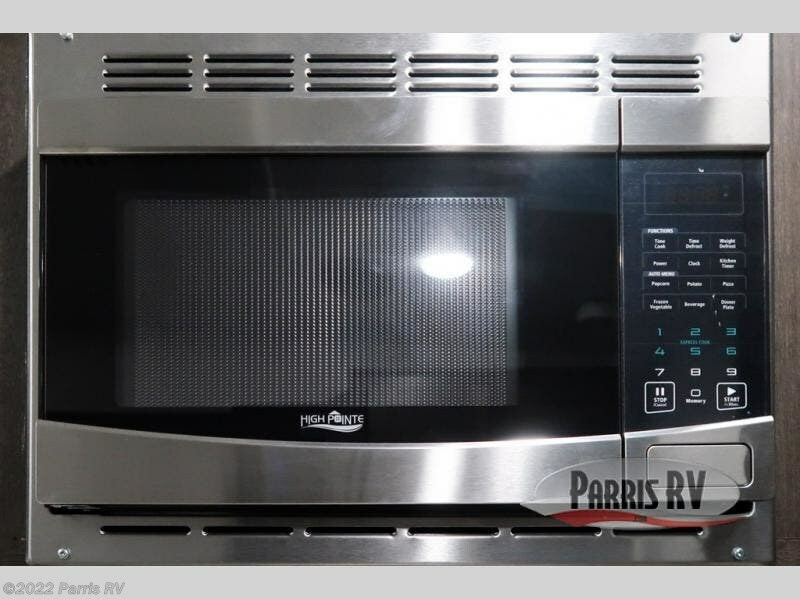 Check out Stock # SS010313 - 2019 Forest River Sandstorm 242SLC on forestriverrvsource.com!